Don't you love a fun garden party? If you've ever wondered where/how/when to start eliminating parts (or all) of your lawn to replace it with smart, time-saving alternatives, this party is for you.We're celebrating the release of Pam Penick's new book today. Six other garden blogging friends are joining the fun and hosting the chance to win some super-duper party giveaways. Lawn Gone! Low Maintenance, Sustainable, Attractive Alternatives for Your Yard, by Pam Penick, is a practical how-to handbook for beginning and veteran gardeners alike. It is chocked full of stimulating ideas, accompanied by beautiful photographs, with abundant and pleasing options for every situation no matter where you garden. If visions of mis-managed, helter-skelter, overgrown mish-mash yards come to mind when you hear words like lawn removal, less-turf and goundcover alternatives then this is the book that will forever set your mind at ease. It covers everything from selection and placement of low-maintenance plants to features that enhance your garden like firepits, pavilions, ponds, and patios. Pam Penick, who is also the author of her Texas garden blog, Digging has written Lawn Gone in her well-known user-friendly, organized style. It will encourage, enlighten and equip you to turn your lawn into a time-saving, beautiful garden. I was excited when Pam asked me to contribute to the section of the book that recommends highly dependable plant choices for the Coastal South (p. 150). In this section of the book (p.142) you'll find options from experts for functional groundcovers appropriate to each region of North America. Many of you are aware that I've been removing the lawn in my garden a little bit at a time over the past 12 years. Taking advantage of Florida's yearround gardening conditions, I've built my garden as an ongoing labor of love and DIY endeavor. My lawn is gone! ... with the exception of a green swath in the back garden that remains for outdoor family activities. 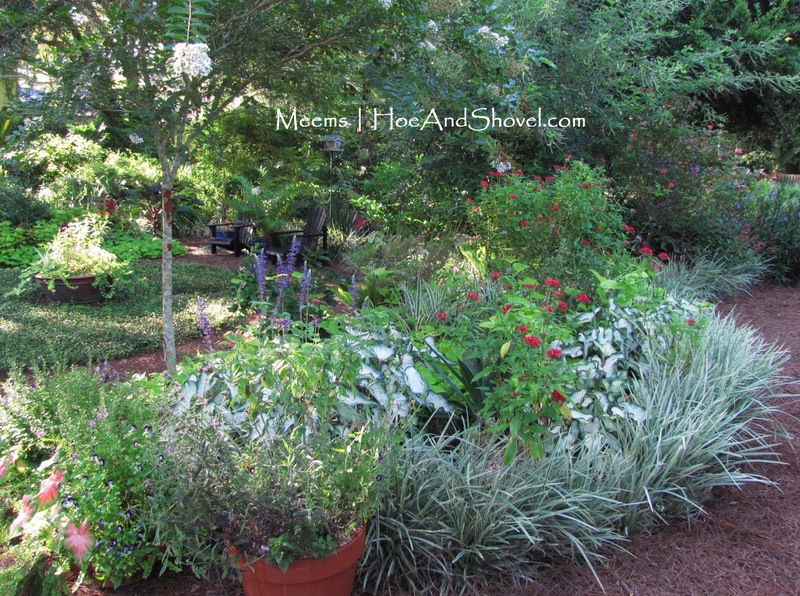 With a mix of native and regionally adapted plants (we call them Florida-Friendly choices) in sweeping,curving beds, I find my garden is easier to maintain than lawn. It has evolved into a peaceful refuge for my family and the wildlife it nurtures. Be sure to go to Pam's book page to find more information about how to purchase Lawn Gone! Then, let the giveaway party begin. Everyone is invited.You can enter all 7 giveaways. Leave a comment on this post for a chance to win this beautiful Moss Rock by Moss and Stone Gardens. When you leave your comment, you MUST have a link back to a website that includes an email address, or you must leave your email address within the comment. Anonymous comments are welcome, however you must leave your (first) name and an email address within your comment in order to be entered into the contest. If there isn't a clear way to contact you, your comment will not be a valid entry. Each entry must have a street address (no P.O. Boxes) within the continuous 48 states. Contest is over Sunday, March 10 at 11:59 pm. The winner will be randomly drawn (computer generated) and announced Monday, March 11. Email notification will be sent to the winner in addition to announcement. Now, to enter the other 6 giveaways, follow the links below, leave a comment on each blog's giveaway post and check back Monday, March 11 to see if you won. The book looks fabulous and what a darling Toadstool. Love your blog. Love the opportunity to visit new blogs and the chance to win! Congratulations on eliminating your lawn. Sounds like lots of hard work. Your garden looks fabulous. Loved reading Lawn Gone! Love the moss rock too. We have a certified Texas Wildscape that's also a demonstration site. Little by little, we replacing our "lawn" with walking paths and beds planted with native plants. Yay for Pam's new book! You have done one of the best jobs out there, of changing over from lawns to gardens. I love looking at your photos of your lovely garden. Pam's book really is full of good advice. Many of your recommendations will work even here, in our parched Texas Hill Country. Love the pictures. Peaks my interest in mosses. Amazing blog. And useful too! Love reading Pam's blog, looking forward to reading the book! what an adorable give away! Thanks for the chance! Love the pics of your front yard. Gave me some good ideas! Also can't wait to get a copy of Pam's book. My husband and I started eliminating lawn over 30 years ago and never regretted it. Well, it's a lot less work if that's all you have, so there might be a little regret in that area, but not much. I love color, shapes, forms, scents and enjoy my different garden areas, patios, rooms, hallways, nooks and crannies. It's all a work in progress. I just noticed a leaf of Miss Muffit has popped up in its pot. Hurray! Hi, have to get this awesome book! And would love the Toadstool! Very cool! Found your blog through Pam Penick. I have signed up for email to make sure I keep getting your entries. Thanks so much for the giveaway -- please put my name in the hat for the moss rock. It looks SO cool! I love the moss rock! Such simple beauty-so zen like! I commented about loving the moss rock but forgot to leave my info! My favorite kind of garden, lawn free. Thank you for sharing. The book looks great and I can't wait to read it. 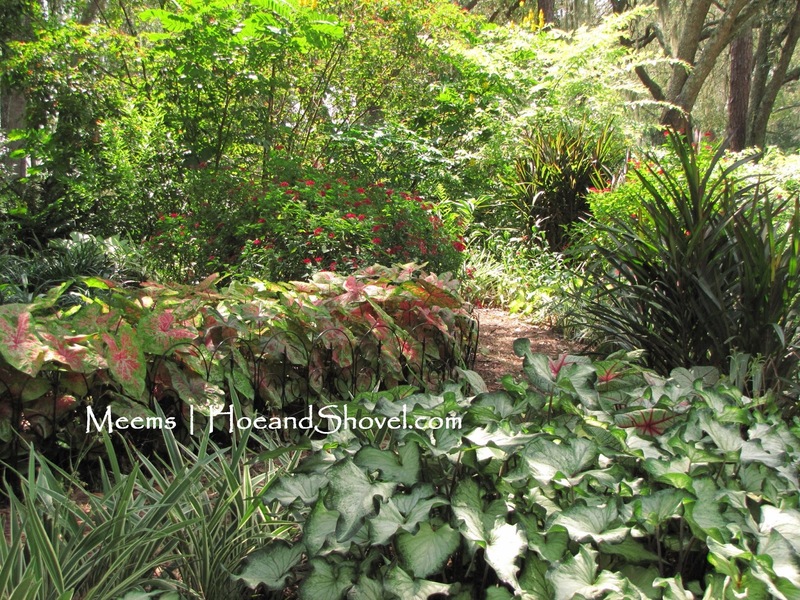 Hi Meems: Have been following your Blog for some time now, working towards gardening in Florida soon. We do garden there no but only a few weeks per year. Soon it will be around 6 and 6 between Florida and NH. I'm not entering, just wondering if she covers anything about HOA's requiring lawns in her book and how to deal with that issue. the book and moss rock look wonderful. very interested in minimizing my lawn...especially since it was torched by the sun and lack of rain last summer. I love moss!!! It is a 'must' in an enchanted garden! Thanks for the opportunity to win the Toadstool! This is delightful. I'm slowly ending the tyranny of the lawn in my yard and hail your efforts. These are beautiful! So is your garden. Thanks for the chance. Love your blog! This book looks amazing! Love love Pam's book and love the Moss Rock!!!! Pick me!!! :) Thanks for the opportunity! Pamie G.
I love this sight! Wonderful gardens. I also love the moss toadstool and would have just the right spot for it on my coffee table. I will keep reading this blog even tho I am in zone 5. In Seattle, we joke that even rolling stones gather moss here. Beautiful book,in the process of eliminating grass (okay weeds), could use the help this book might supply. I already have Pam's wonderful book. We Austinites are so proud of her accomplishment. You have also done a wonderful job in redoing your garden your garden. Thanks for the opportunity to try growing this pretty green moss. i'm working on transforming my yard a little at a time; i've put in a little moss garden area and have been wintersowing some groundcovers like creeping thyme. would love to enter the giveaway. I love Pam's blog and can't wait to read her book. Thank you for supporting Austin's Pam Penick! Love the moss rock! I've been stealing lawn from the back yard inch by inch each year, but haven't yet braved the front yard. My marriage would be in peril. IT IS hard work, we've been eliminating our front lawn for a year and are near the finish line, though that means it's the backyard's turn next! I'm excited for this new book, I want the back yard to be a bird and butterfly haven and am looking for ideas. Love all the blog parties and giveaways. Lets me try something new. You have a lovely garden. Your garden plants are my houseplants! I'm in zone 6b, but I love looking @ the beauty of the labor all have made in all zones. I love the ideas people come up with to make their garden their own. With the heat and lack of water in Okla., I've added more plants that will tolerate the changes and add variety to my clay garden. Love this, especially the moss! I enjoy your photos on your blog and your fb page! Your gardens are beautiful. Little by little I am removing more lawn and adding more garden. I've gardened in both TX & FL, a double challenge! I love the Lawn Gone book. Have been inspired by all the beautiful photos. Interesting to see how gardeners across the country are replacing lawns with less thirsty alternatives. Even if I never win anything, it was still fun visiting your blog. Love that toadstool! Thank you for your good work - Glad to have found your site. I have been a follower of Pam's Digging blog for several years now. I have her new book and love her ideas and the pictures of her gardens transformations. She is an inspiration! Love your site and love the chance to win the moss rock! Thank you for both!. Love your site!! I too am always reducing my lawn area! I too am a fan of reducing lawn areas! This book looks very useful (one of my favorite things in a garden book). We've just purchased a new home with a small yard and getting rid of the lawn would be do-able. Great idea to welcome SPRING with this great giveaway! The book sounds great! I am loving your blog too. You have done one of the best jobs out there, of alternating over from yards to gardens. I love looking at your photos of your lovely garden. Such a beautiful collection of flowers you have. This is perfect timing to redo my lawn. I live in California so there's been a drought for a couple of years now. I've been using up too much water and the bill is getting out of control.